Thinking about going into franchising? 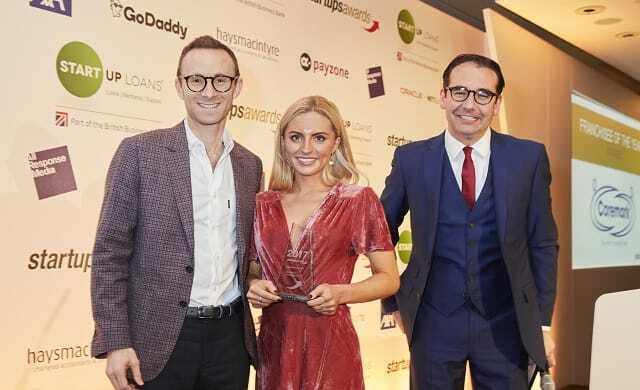 Take inspiration from Hannah Drury, the 25 year-old domestic homecare franchisee who has been named Franchisee of the Year at the esteemed Startups Awards 2017. Drury – who beat franchisees from Driver Hire and ActionCOACH to take the top prize for her Caremark Sutton chain- was awarded the accolade on the back of her success in taking over the franchisee from her stepfather in 2015; having achieved monumental growth in that time. Drury’s stepfather was the original franchisee of Caremark’s Sutton brand but, after he tragically passed away from a rapidly-progressing motor neuron disease, Drury stepped up – aged just 23 – to run the franchise. Over the past two years, operations director Drury has grown profits by 74% and now manages a team of 60 with further growth on the horizon. In fact, Drury is expecting to hit seven figure revenues next year and says she is focused on “coming up with innovative growth methods in a difficulty industry”. In her work for Caremark, Drury ensures the delivery of high-quality care to the elderly, children, and those in need in the comfort of their own homes. While social care is a growing issue, Caremark Sutton is going from strength to strength with Drury also recently crowned Franchisee of the Year at the British Franchise Association’s Franchise Awards. Running for its 14th year, the Startups Awards is the UK’s longest running awards to celebrate and recognise new businesses and entrepreneurs. Established in 2004, the Startups Awards is recognised industry-wide for its ability to cherry-pick new businesses and founders who will go on to become established companies and, even, household brands. Past winners include Notonthehighstreet.com, Ella’s Kitchen, The Cambridge Satchel Company and Onfido while former Franchisee of the Year winners include Daniela Coutinho of Heritage Healthcare (Ealing), Katerina Zaravinou of Schmidt (Palmers Green), and Vance Parsons of Driver Hire (Hereford & Worcester). Learn more about the Startups Awards 2017 and Hannah Drury’s story here.